Anyone who has read the massive tomes of Jungmann’s work on the Roman rite cannot fail to be struck by the tendentious nature of his criticism of the traditional liturgy that appears at frequent intervals throughout. Amid the plethora of historical data (some of which were later found to be spurious), he produced a series of fantasies purporting to show that the Mass codified by Pope Pius V was not a sacred patrimony, but the product of historically conditioned forces and “wrong turnings” taken by the Church in the Middle Ages. To illustrate this point, let us consider Jungmann’s approach to some key aspects of the liturgy. Thus, for example, the altar was thought of as the Cross on which our Savior died or the Tomb in which He was buried (3); the silent Canon recalled the Holy of Holies of the Jewish Temple to which only the High Priest was admitted. There were hundreds of similar examples all recalling to mind some aspect of Revelation mystically enshrined in the liturgy. In other words, the liturgy was clearly about Christ. But, he misunderstood the nature of the liturgy. The external features of the Mass constituted the sights, sounds and smells of Catholic worship. They have always been understood as a symbolic mode of communication conveying the mystical meaning of the Mass even to children and the simplest souls among the congregation, uniting all spiritually with the sacramental life of the Church. The people’s understanding of the rites was, through symbols, facilitated at the highest level. The “something else” was the Sacrifice of Calvary and he went on to explain the sacramental signification in the Mass. Jungmann, however, found this explanation so unacceptable that he denounced this relevant section of the Summa as a forgery, an interpolation written by someone other than Aquinas. (7) Interestingly, he provides no substantiating evidence for this piece of “historical” information. So, he worked successfully to ensure that the New Mass would “be colored by the basic motif of Easter” (9) and become a joyous celebration of the Resurrection rather than Christ’s Sacrifice for the salvation of sinners. According to the allegorical interpretation, the vesting prayers remind the priest of the mystery into which he is about to enter and of his need for purity of heart. With such beautiful sentiments expressive of the Faith, what criticism could be brought against them? In the Novus Ordo, the sacred and mysterious were reduced to the mundane. 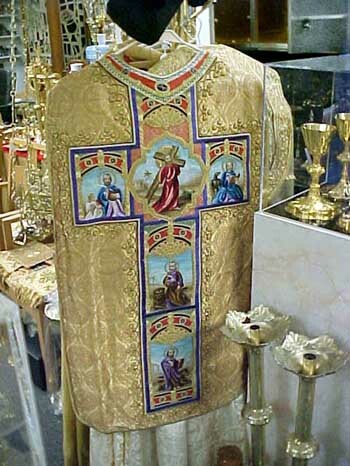 The vestments were greatly simplified and cheapened and some, as for example the maniple, were discontinued as being no longer “functional.” (13) As for the vesting prayers that contained reminders of Christ’s Passion and incentives to Christ-like virtue, especially holy purity, they were not required by the new rubrics and, consequently, fell into widespread disuse. Thus, a valuable sacramental aid to the spiritual life of the priest was lost. He could not have been unaware that symbolical interpretation is an essential element of the Church’s liturgical patrimony and that to discard it is to break the hermeneutic of continuity with the past. For all the liturgical writers of that time showed a deep respect for the work of the Church Fathers that they inherited and developed. Their allegorical interpretations of the liturgy reflected, each in its own way, some aspect of the divinely revealed truths of the Faith that were passed on down the centuries by way of the lex orandi. By bringing out the mystical significance of the liturgy with the background of the history of salvation, they showed us what to believe about the nature of God, the meaning of the Mass and the role of the priest. 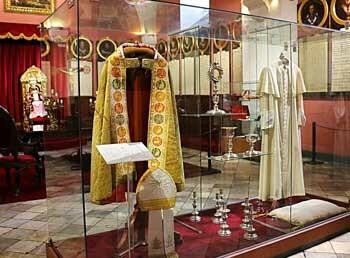 Modern vestments and church buildings, on the other hand, reflect the local culture and have no more exalted purpose than to inspire and encourage dialogue and reflect a community spirit. Unfortunately for the Church, the leaders of the Liturgical Movement saw the traditional liturgy as little more than an object for speculation and conjecture by historians. But, its spiritual meaning can only be perceived by faith. As it is precisely upon pseudo historians that doctrinal deviations are often built, it is not the sacred liturgy that needs to be purified from distortions and errors, but the minds of those using the historical-critical method. The principal medieval exponents of the allegorical or symbolic method of interpreting the liturgy were Amalarius of Metz (died circa 852) and William Durandus (died in 1296). Amalarius provided a comprehensive commentary on the liturgy which influenced liturgical writers up to the start of the Liturgical Movement in the early 20th century. His Liber Officialis, or De Ecclesiastico Officio, covers every aspect of the liturgy from the prayers and chants of the Roman Rite to the gestures and vestments of the priests. Durandus wrote the Rationale Divinorum Officiorum, a sort of encyclopaedia of ecclesiastical ceremonies and architecture in which he explained their inner mystical meaning. Contrary to the opinion of modern reformers, his work was not arbitrary and subjective, but a compilation of the allegorical interpretation provided by the Fathers and Doctors of the Church. For a full account of the allegorical interpretation of vestments, see Fr. Nicholas Gihr, The Holy Sacrifice Dogmatically, Liturgically and Ascetically Explained, Freiburg: Herder, 1902, pp. 267-328. 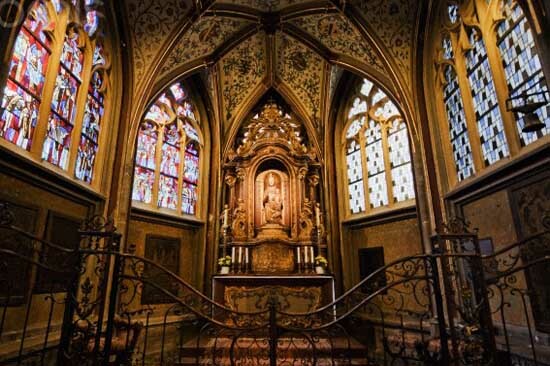 Up until 1960, the association of altar and tomb had been consciously kept alive among the faithful by the custom of placing a stone containing relics of the saints in the center of every altar. Jungmann, The Mass of the Roman Rite, vol. 1, p. 117. Jungmann, ‘Constitution on the Sacred Liturgy’, in H. Vorgrimler, Commentary on the Documents of Vatican II, vol. 1, London: Burns and Oates, New York: Herder, 1967, p. 23. But the doctrine of the Mass as the renewal of the Sacrifice of the Cross had been the belief of the Church from the beginning, and had been propounded by the Church Fathers and St. Thomas Aquinas long before the Pseudo-Reformation. Jungmann here gave the false impression that it only came into being in the 16th century. Thomas Aquinas, Summa Theologica, III, q. 83, a. 5. Jungmann, The Mass of the Roman Rite, vol.1, p.114, note 61. Jungmann, Announcing the Word of God, trans. from German by Ronald Walls, London: Burns and Oates, 1967, pp. 112, 115. Traditionally, the Church has assigned various meanings to liturgical vestments. 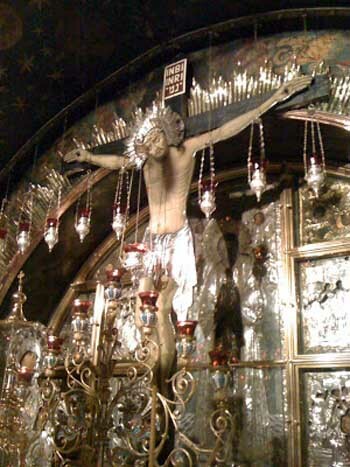 Thus, for example, the amice represents the blindfold put on Jesus when He was mocked and struck; the cincture represents the ropes and fetters that bound Him during His arrest and scourging; the stole represents the Cross He carried to His crucifixion; and the chasuble the seamless garment for which the soldiers rolled dice. Fr. Nicholas Gihr, The Holy Sacrifice, p. 271. Jungmann, The Mass of the Roman Rite, vol. 1, p. 288. “In an age already nearing empiricism and scientific study it [allegorizing] has lost most of its strength. No longer does it satisfy the people. It can no longer so shackle the minds of the faithful that they are [only] able to follow the action in silence.” Ibid., p. 144-145. Fr. Nicholas Gihr, The Holy Sacrifice, p. 270.